I am on vacation this week and what better way to spend my time off but to bake! My kitchen has already seen two 12 inch cakes and a dozen vanilla cupcakes this week. I was already on a roll so I just went with it. My goal for the week was to come up with my March cupcake of the month, not only did I find some recipes that completely suited the month but they turned out perfectly. When I think of March I think of my birthday (yay!) but I also think of St. Patrick's Day. I think of green and 4 leaf clovers. Mostly I think of beer. I wanted a cupcake recipe that included beer. Beer in cooking or baking keep things moist and who doesn't like a moist cake? I went straight to google, as always, and found some really great recipes. 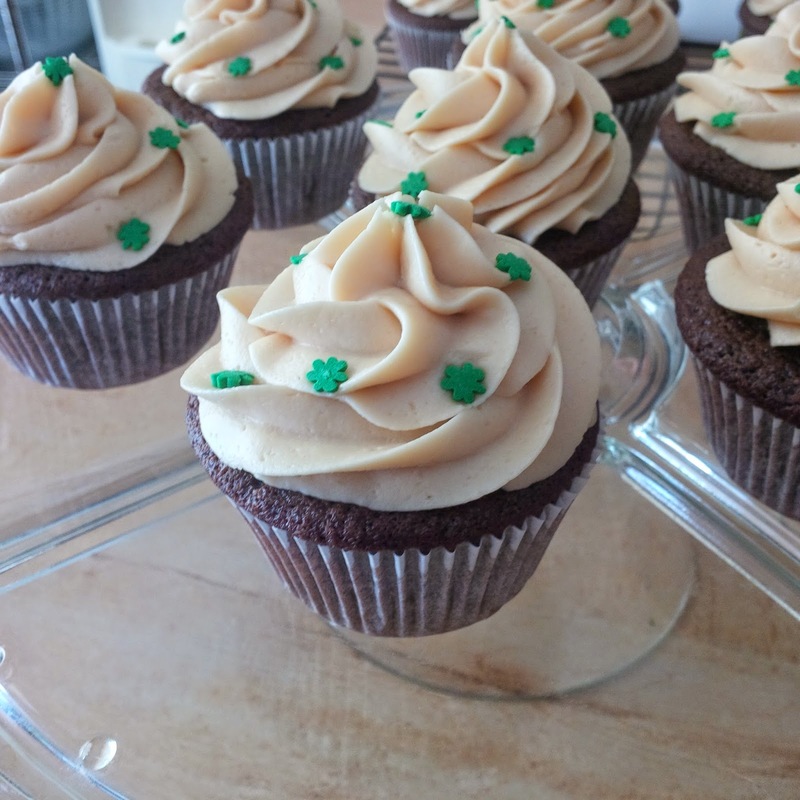 I settled on a Chocolate Guinness Cupcake with a Baileys Buttercream. Oh. My. Goodness. The cupcake batter produced a moist, flavourful chocolate cake. It's a perfect pillow for the beautiful frosting to sit on top of. The buttercream came out a light caramel colour from the Baileys and tastes a little like heaven. (In my humble opinion.) 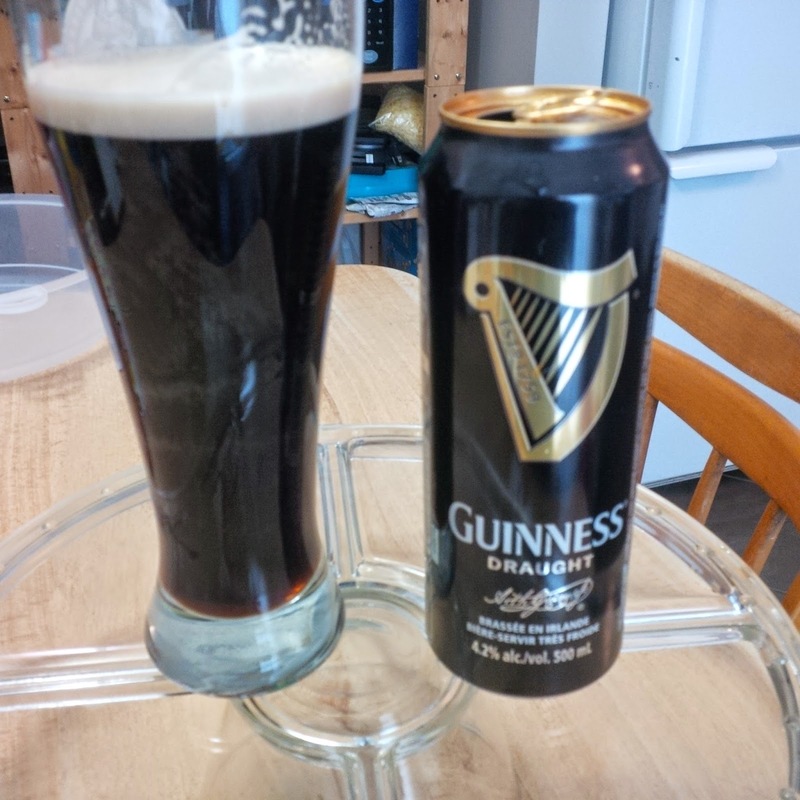 These are the perfect treat to bring to any St. Patrick's Day party, or just to enjoy any other day of the year. 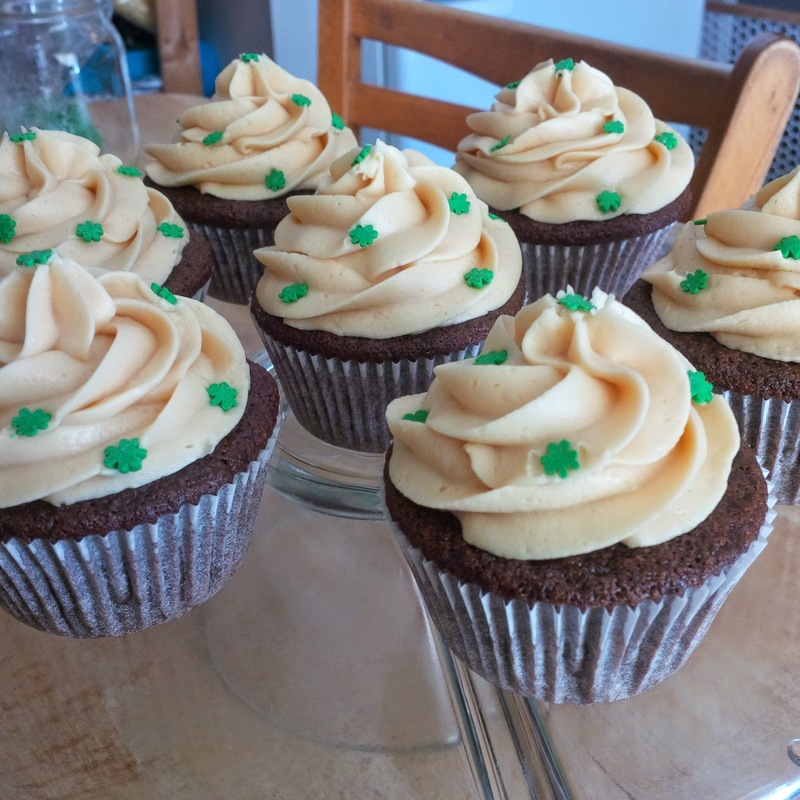 The alcohol in the beer bakes out in the batter but the Baileys in the buttercream can easily be replaced with milk to create just as tasty of a cupcake that people of all ages can enjoy!